We are currently hoping to celebrate the fact that we can turn the heater off and pretend its summer! I preferred the snow in Prague – is it deep yet? Yes you understand correctly re the Amazon miner – so yes potentially its creating competition for yourself – of course if you go to some of their suggestions and look at the “people also bought” or “people bought” listings – you can end up with something similar but different if you see what I’m saying. Thanks for the insights! Christmas is in the air, and there’s no harm if you wish for something you really wanted. Most especially if this will help you to improve your work. I hope your wish will be granted! Good luck and have a Merry Christmas! Thanks for the Keyword Researcher videos. Going to watch them right now. 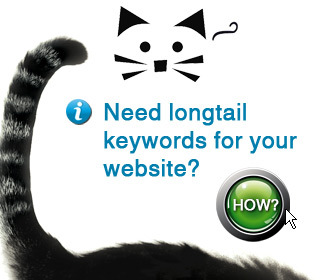 I’ve recently started focusing on the long tail keyword thing so this could really help. I have be using Keyword Researcher for a couple of weeks and I really like it. The only problem is, I get so many great long tail keywords that I am never going to be able to have the excuse that I don’t have anything to write about. And it is really easy and intuitive to use. I noticed we no longer get any nice pictures in your header. Since you are the top z-lister I know, I hope you will share your reasoning at some point. Maybe you talked about it before but I missed it. I am really enjoying watching what you are doing with this blog and your list and I am learning a lot about how I could incorporate your ideas into my niche. Thanks for all the help you have provided over the years. It looks like a promising program. I just wonder how google finds it. You said all that you can be banned. This means a temporary block and a captcha in your next search? Just by watching the video I have already learned a lot. Thanks Lis! Sorry for my poor english, I’m from the Netherlands. Just a temporary block – didn’t seem to give captchas. I wish my Dutch was as good as your English! Yeah very worthwhile vids even if you don’t buy – also I believe you can now run some queries on the actual sales page to get a feel for it. what is the name of the slider that comes in on the bottom right of the site? did you write a review for it? aff link I can use? I’m surprised it hasn’t caught on more in the MMO crowd Al its free: http://nrelate.com/ – the travel guys LOVE it!